Simple yet very professional design and produced for every type of bistro cafe and restaurant. Available in lots of four. The chair includes a stylish and unique chrome frame to finish. 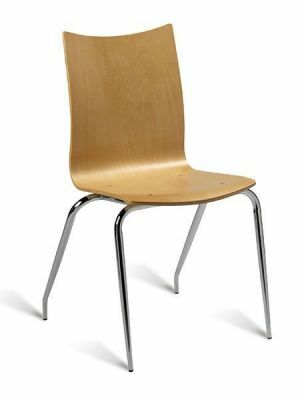 Bistro chairs held in stock for a 2-3 day delivery. These chairs are delivered boxed for self assembly. Installation is available through our national café furniture installation service.